Greg Challenger - Polaris Applied Sciences, Inc.
Mr. Challenger is a marine biologist with 30 years of experience in environmental resource management and marine and freshwater habitat restoration, and environmental regulation. 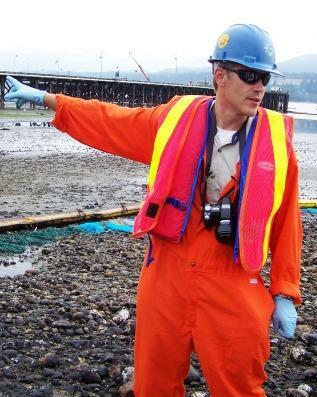 He is currently involved in scientific support for oil spill and ship grounding response, as well as Natural Resource Damage Assessment, restoration scaling, planning, and implementation. Mr. Challenger has responded to over 70 oil spills and vessel groundings on coral reefs in the Eastern and Western Atlantic, Caribbean Sea, Pacific, and Indo-Pacific Oceans. Mr. Challenger helped form Polaris in 1998 and is currently on the board of directors. 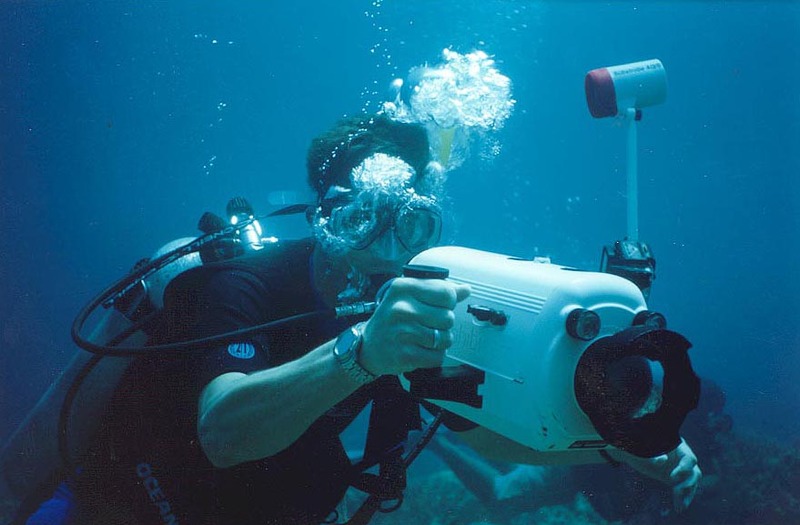 Following completion of his undergraduate degree in 1985, Greg taught marine resource management and coral ecology at the Center for Marine Resource Conservation in the Turks and Caicos, BWI, the Newfound Harbor Marine Institute (NHMI) in the Florida Keys, and aboard the SSV Westward in the Eastern Caribbean. He developed and taught field education programs in coral reef, mangrove and seagrass ecology. Greg also taught advanced and scientific diving courses at NHMI. During breaks in the education programs in the Florida Keys, Greg worked as a Foreign Fisheries Observer in the Aleutian Islands, Alaska living aboard Japanese, Russian and Korean fishing trawlers in the Bering Sea and Gulf of Alaska collecting catch data for fishery management purposes. Greg returned to Alaska following completion of graduate school in 1990 to study the potential adverse effects of fishery practices on marine mammals and birds in Prince William Sound and Unimak Island, Alaska. He collected data aboard fishing vessels and conducted aerial surveys of animal populations along the Copper River Delta and Prince William Sound. In 1991, Greg joined Beak Consultants, Inc. (Beak) in Portland, Oregon. Greg worked on studies throughout the Pacific Northwest and Alaska including dioxin studies in the Columbia River, ecological studies related to hydropower re-licensing, threatened and endangered wildlife studies, and wetland and aquatic habitat design and construction. Greg became a Certified Professional Wetland Scientist and participated in over 40 wetland and aquatic habitat restoration and creation projects in Alaska, Washington, Oregon, Idaho, and California. Greg was named a Senior Scientist and the head of the Wetland Science Group in the Portland office of Beak in 1994. During several sabbaticals from consulting, Greg taught oceanography as part of a Boston University accredited program run by Sea Education Association in Woods Hole, Massachusetts. He sailed aboard the SS/V WESTWARD from Maine to the Lesser Antilles and the Virgin Islands. Greg directed student research projects involving mapping of submerged active volcanoes off the coast of Grenada, assessing tar and plastic levels in the Western Atlantic, and modeling geostrophic flow and the island mass effect in the St. Lucia Channel. Greg also worked as faculty for the School for Field Studies Center for Marine Resource Conservation and Management in South Caicos, Turks and Caicos Islands (TCI), British West Indies. He taught Marine Resource Management and directed research projects relative to local conch and lobster fishery practices, aquaculture, harbor dredging, and solid waste disposal. Since 1993, he has returned to South Caicos several times to lecture and recently performed an assessment of coral reef injury resulting from the large-vessel grounding in West Caicos, TCI for the Department of Environment and Coastal Resources. In 1997, Greg moved to Seattle, Washington to work exclusively with the Marine Division of Beak Consultants. Greg provided scientific support and environmental injury assessment for numerous oil and chemical spill projects. Greg also performed coral reef injury assessments and helped to develop restoration plans following damages from ship groundings for numerous projects in the Caribbean Sea and Central America, as well as developed numerous successful habitat mitigation, restoration and creation plans for aquatic environments. Greg left Beak in 1998 to help form Polaris Applied Sciences, Inc. Greg is currently the President of Polaris and provides scientific support and project management for oil spill and ship grounding emergency response and Natural Resource Damage Assessment under the Oil Pollution Act. Recent project work includes principal investigator for the POSAVINA oil spill in Boston, MA, scientific support for the PENN 460 oil spill in Narragansett Bay, Rhode Island, assessment of a coral reef grounding in Palau, Micronesia, investigation of potential fishery effects in the NEW CARISSA oil spill in Oregon, assessment of coral damages resulting from a cruise ship grounding in Cancun, Mexico, and restoration of a salmon stream impacted by a gasoline pipeline explosion in Bellingham, Washington. Greg attended the Pennsylvania State University, Florida Atlantic University, and the Florida Institute of Technology and received Bachelor of Science and Master of Science degrees in Marine Biology and Marine Biology/Science Education. 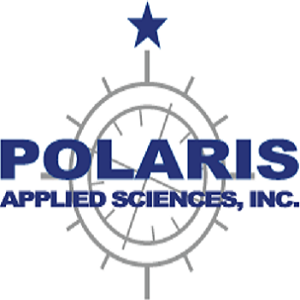 POLARIS Applied Sciences, Inc., Principal. 1998-Present. BEAK Consultants Inc.; Senior Scientist, Marine Division. 1997-1998. BEAK Consultants Inc.; Senior Scientist, Wetland Science Group. 1991-1997. School for Field Studies Center for Marine Resource Conservation, South Caicos, Turks and Caicos Islands, B.W.I. ; Faculty. 1993, 1998. Sea Education Association, Massachusetts, Grenada, Martinique, Virgin Islands, Faculty. 1991. Saltwater Inc., False Pass/Prince William Sound, Alaska; Research Scientist. 1990. Florida Institute of Technology, Melbourne, FL, 1988-1989. Newfound Harbor Marine Institute/Seacamp, Big Pine Key, FL, 1985-1989. In addition to those recent presentations and publications listed below, Greg has authored or co-authored numerous scientific technical reports such as natural resource injury assessments, habitat restoration and mitigation plans, permit documents, restoration construction bid-specifications, environmental assessments, and environmental impact statements. Taylor, E., G. Challenger, J. Rios, J. Morris, M.W. McCarthy, and C. Brown, 2014. Dilbit Crude Oil Weathering on Brackish Water: Meso-scale Tests of Behavior and Spill Countermeasures. Proc. of the 35th Arctic Marine Oilspill Program (AMOP) Technical Seminar on Environmental Contamination and Response: June 3-5, 2014: Canmore (Alberta), Canada. Challenger, G.E., 2014. Damage Claims for Injuries to Coral Habitats from Large Vessel Groundings. GARD News. Challenger and G. Mauseth. 2010 Seafood Safety following Oil Spills. In: Oil Spill Handbook: A Practical Guide. Edited by Merv Fingas. Environment Canada. Mauseth, G.S., G. Challenger, G. Douglas, and K. McCarthy. 2008. The advantages of quantitative versus qualitative oil fingerprinting methods for complex oil spill investigations. Society of Environmental Toxicology and Chemistry (SETAC), November 2008, Tampa, FL. Challenger, G.E., Sergy, G. and A. Graham. 2008. Vegetation response and sediment polycyclic aromatic hydrocarbon attenuation in a Carex marsh in Howe Sound, British Columbia, Canada Following a spill of Bunker C fuel oil. Proceeding of the 2008 International Oil Spill Conference, May 2008, Savannah, GA. Challenger, G.E., and G, Sergy. 2007. Sediment attenuation and vegetation recovery following a fuel oil spill in a Carex lyngbyei marsh in southern British Columbia. Proceedings of the International Oil Spill Conference, Savannah, Georgia. June 2007. Challenger, G.E. 2006. Mitigating claims for damage to coral reefs from vessel groundings, salvage and wreck removal in the US. In GARD News Issue 182 May/July 2006, Pg. 4-8. Arendal, Norway. Challenger, G.E. 2006. International Trends in Injury Assessment and Restoration. Chapter 12 In; Coral Reef Restoration. Edited by William F. Precht. CRC Press. Challenger, G.E. 2004. Uptake and Depuration of Polycyclic Aromatic Hydrocarbons in Steelhead Trout (Oncorhychus mykiss), Chinook Salmon (Oncorhychus tshawytshca), Mountain Whitefish (Prosopium williamsoni), and Sucker (Catostomus sp.) in the Clearwater River Idaho following a Diesel No. 2 Fuel Spill. Proceedings of the Arctic and Marine Oilspill Technical Seminar. Edmonton, Alberta, Canada, 2004. Challenger, G.E., G.S. Mauseth, E.H. Owens, R.F. Campbell, M. Macrander and D. Doty. 2003. Integration of Response, Restoration, and Enhancement in a Northwest United States Salmonid Stream Following a Gasoline Spill. Proceedings of the 2003 International Oil Spill Conference, Amer. Petr. Institute Publ. No. , Washington, DC. Challenger, G.E., G.S. Mauseth and Ileana Rhodes. 2001. Residual Gasoline in a Turbulent Pacific Northwest Stream Following Release and Subsequent Ignition. Proceedings 2001 International Oil Spill Conference, Amer. Petr. Institute Pub. No. 14710, Washington, DC. Mauseth, G.S. and G. E. Challenger. 2001. Trends in Rescinding Seafood Harvest Closures Following Oil Spills. Proceedings 2001 International Oil Spill Conference, Amer. Petr. Institute Pub. No. 14710, Washington, DC. Mauseth, G.S., G.E. Challenger, J. Catena and J. DeAlteris. 2001. Restoration and Compensation of the Rhode Island Lobster Fishery Following the NORTH CAPE Oil Spill. Proceedings of the 2001 International Oil Spill Conference, Amer. Petr. Institute Pub. No. 14710, Washington, DC. Owens, E.H., G.E. Challenger and G.A. Reiter. 2001. Whatcom Creek Stream Remediation Following A Gasoline Spill. Proceedings of the 2001 International Oil Spill Conference, Amer. Petr. Institute Pub. No. 14710, Washington, DC. Owens, E.H., G.E. Challenger, and G.A. Reiter. 2000. Stream Remediation Following a Gasoline Spill. The Twenty-Third Arctic and Marine Oilspill Program. June 14-16, 2000, Vancouver, BC, Canada. Challenger, G.E. 1999. Injury Assessment and Restoration of Large Vessel Groundings in Coral Environments. University Program for the Environment Annual Program “Coral Reefs: Threatened Marine Richness”. Cancun, Quintana Roo, Mexico, 1999. Challenger, G.E. 1999. Fisheries Closures, Openings, and Chemical Mysteries in the NEW CARISSA Incident. The Twentysecond Arctic Marine OilSpill Technical Seminar. June 2-4, 1999, Calgary, Alberta, Canada. Mora, D., and G. Challenger. 1999. Resolving conflict in applying the Washington State Natural Resource Damage Assessment Compensation Schedule – Spill volume determination in the absence of volumetric methods. Proceedings of the 1999 International Oil Spill Conference. Seattle, WA. 1999. Challenger, G.E., and G.S. Mauseth. 1998. Closing and opening of fisheries following oil spills; A case study in Humboldt Bay, California. Proceedings of the Twentyfirst Arctic Marine OilSpill Technical Program. p 167-180, 1998. Challenger, G.E., and S.R., Haak. 1994. Mitigation for aquatic resource losses: Creation of diversion stream channels, wetlands, and off-channel ponds at a forest products solid waste facility in Cowlitz County, Washington. Proceedings of the Society of Wetland Scientists, 15th Annual Meeting. p 120. Challenger, G.E., Greenbaum, D.P. 1993. The effect of survey duration on visual reef fish population estimates. Environmental Technical Report; Caribbean Center for Marine Resource Conservation, School for Field Studies, Turks and Caicos Islands B.W.I. 14p. Challenger, G.E, Carlson K.L. and S.R. Haak. 1993. Evaluation of the effects of emergency drawdown of a natural high elevation lake in the Oregon Cascades on cutthroat trout. City of Portland Bureau of Water Works Environmental Technical Report. 44pp plus appendices. Challenger, G.E. 1990. A cross-cultural comparison of environmental awareness: experiences related to environmental knowledge and attitude. Florida Scientist (53)1, Proceedings of the 54th Annual meeting of the Florida Academy of Sciences. p 38.